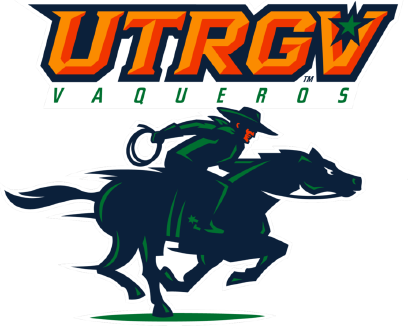 EDINBURG — During the second half of regulation and overtime, UTRGV and Seattle U were separated by more than three points for only 56 seconds. As the closing moments of the extra period were winding down, the Vaqueros had chance after chance to find the tying or winning score. But after Nick Dixon drilled a 3 to put UTRGV in front on the team’s first possession in overtime, the Vaqueros misfired on all seven remaining shot attempts and turned the ball over twice, mustering just two more points in a 79-76 loss to Seattle U at the UTRGV Fieldhouse. Seattle U tied the game on a 3 by Jordan Hill with 3:37 to play in the extra period. Hill added two more free throws with 3:02 remaining, and Terry Winn answered for UTRGV with two free throws of his own at 2:33. Those would be the Vaqueros’ final points, as the Redhawks took the lead on a Matej Kavas jumper with 2:03 to play and only scored again when Morgan Means sank a free throw with four seconds remaining. Dixon, Winn and Lew Stallworth each misfired twice in the final 90 seconds. The last shot attempt was a desperation, double-clutch 30-footer from Stallworth that bounced off the backboard and halfway down before clanging out. Stallworth nearly gave UTRGV the win in regulation, draining a 3-pointer with 46 seconds remaining for a 71-69 lead. But Seattle U quickly tied on a putback from Aaron Menzies, who posted a monstrous line of 21 points, 15 rebounds, five blocks and three assists without a turnover in 41 minutes. Menzies, a 7-foot-3, 286-pound redshirt junior, connected on 9 of 12 shots for the game. UTRGV had the final shot in regulation, as Stallworth missed at the buzzer after his handoff attempt to Dixon was denied with about seven seconds to play. Seattle aggressively faceguarded Dixon, UTRGV’s leading scorer on the year, throughout the game. Though Dixon still managed to rack up 17 points, he did so on 5-of-17 shooting and 6 of 11 at the free-throw line with only one assist. Freshman Greg Bowie was UTRGV’s leading scorer, cracking double figures for only the second time this season with 18 points on 8-of-14 shooting. Bowie scored his final points of the night on a jumper with 6:42 to play in regulation. After a pair of misses, he went to the bench with 5:09 remaining and did not return until 3:02 was showing on the clock in overtime. UTRGV shot 35.1 percent for the game, the team’s lowest mark at home this season. The Vaqueros also struggled at the free-throw line, connecting on 16 of 24 attempts for the game. Typically a potent 3-point shooting team, Seattle U connected on 7 of 14 tries from beyond the arc during the first half but was limited to just 3-of-9 3-point shooting in the second half and overtime.